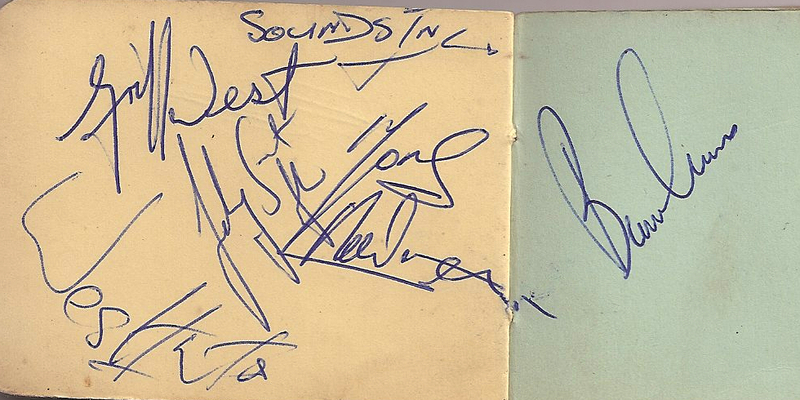 These incredible photos were sent to me by Steve Williams who found this autograph book amongst his late brothers belongings. 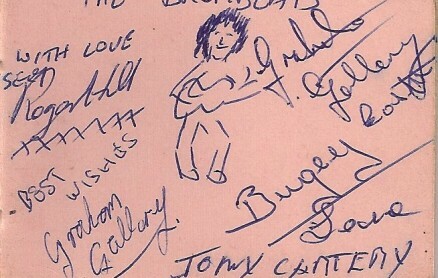 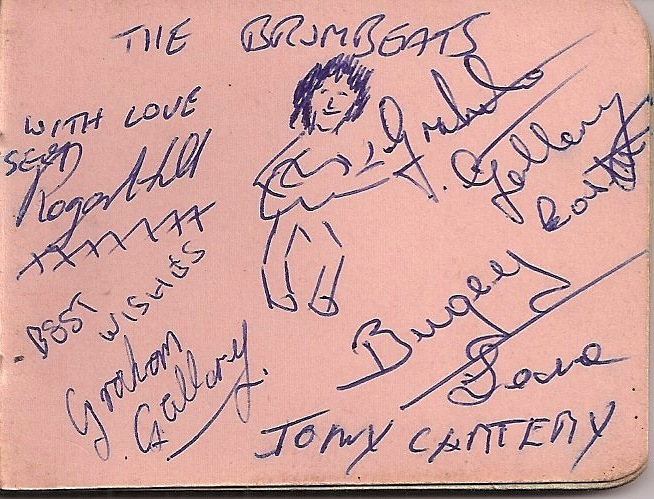 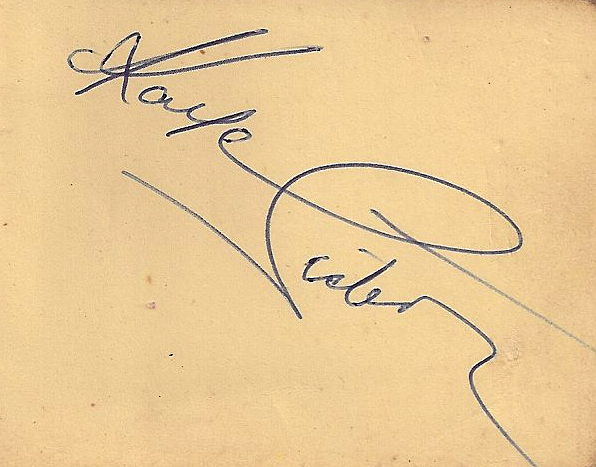 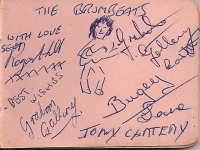 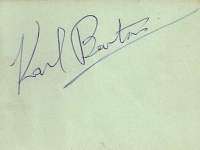 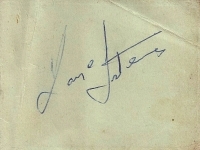 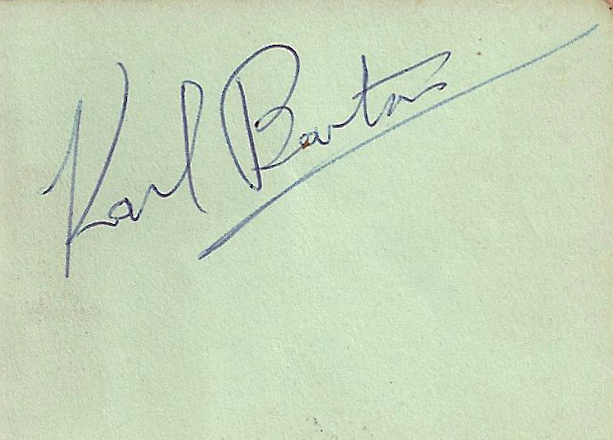 We can clearly make out Brumbeat legends Brumbeat’s autographs, a band called Sounds Inc plus individual autographs for Karl Barton and others. 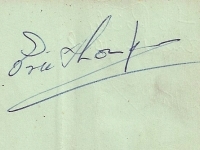 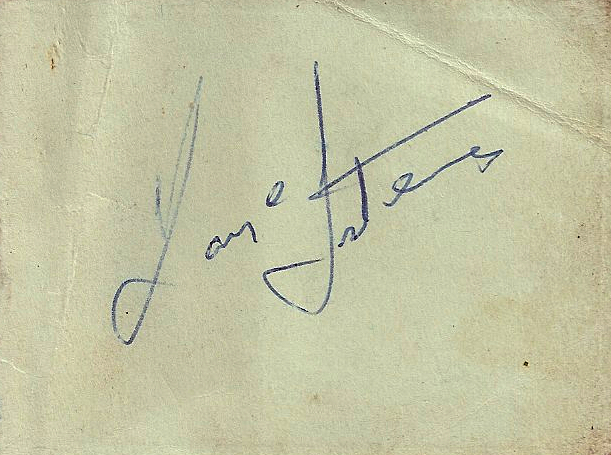 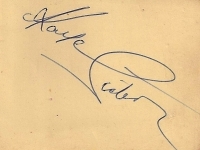 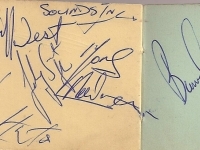 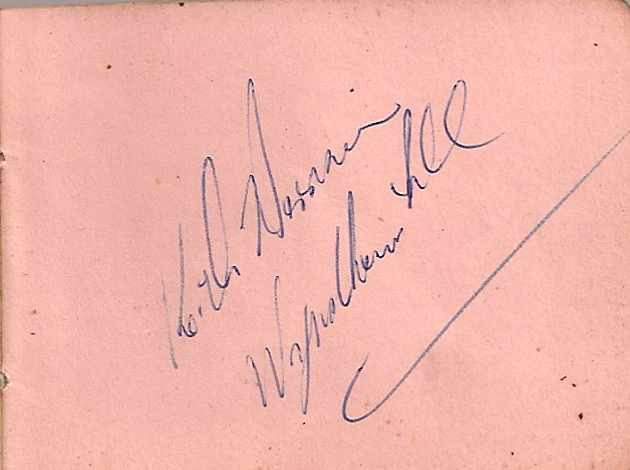 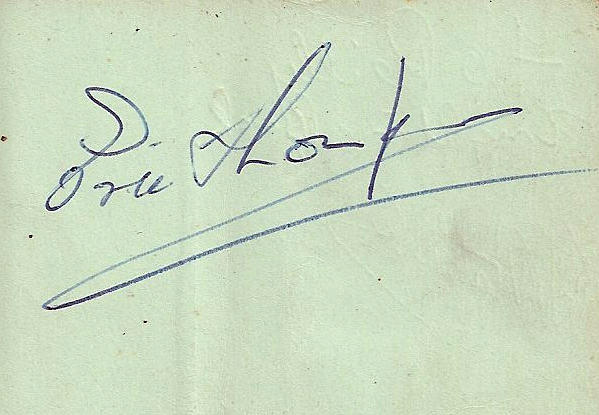 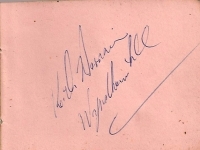 Thanks to Steve for sending these into the archive and I’d love to hear from people who recognise the autographs and can give us some more info on Sounds Inc and the individual signers.